Another topic of high importance to members is that of safety and security. 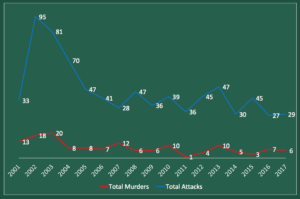 Sandy presented a case analysis for 2017 of farm attacks and murders committed on and against farmers in the province collected by Kwanalu (these figures were fact checked with relevant safety and security forces). 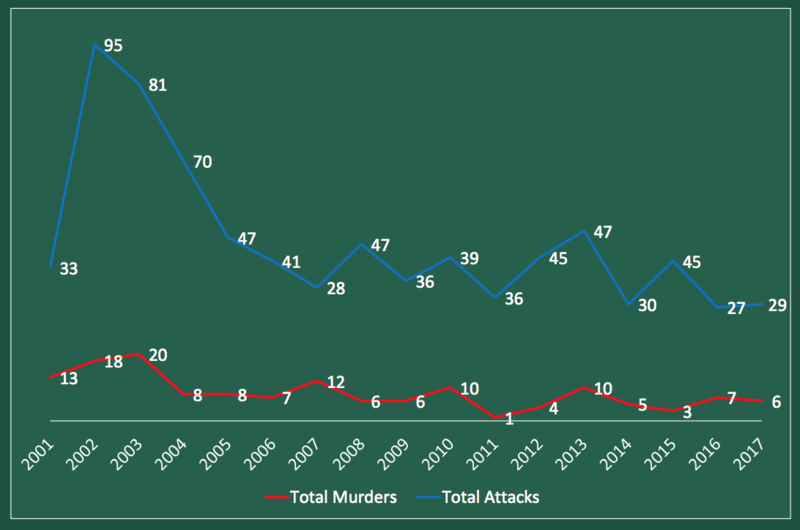 In 2017 there were 6 murders and 29 attacks on farms in KZN. According to the data collected most attacks in 2017 occurred between 12pm and 6pm and on a Friday, with adequate security measures in place in only 6 of the 17 incidents where security measures were possible. Sandy told members that cash, firearms and cellphones were the highest amongst items stolen and said that from the data collected it appeared that perpetrators were not afraid to attack in daylight hours. She told members that no matter your racial orientation, or whether you live in a town, city or a on farm, you are a target but that the rural nature of farms makes farmers, their families and employees more of a target. She said that from the data collected and from the evidence heard in court the motives behind these attacks were not driven by race, politics or land but rather socio-economic circumstances leading to opportunistic crimes. As such she urged farmers to tighten security measures, to strengthen relationships within communities in order to build trust and to report all incidents, no matter how small or petty, to the SAPS. Sandy also discussed farmers’ relationships with the SAPS and reiterated the importance of good working relationships within these structures. Citing figures, collected in a survey conducted by Kwanalu at Congress last year, she told members that 78% of farmers believe they have a good working relationship with the local police, with 77% believing the police could be more active in their area. 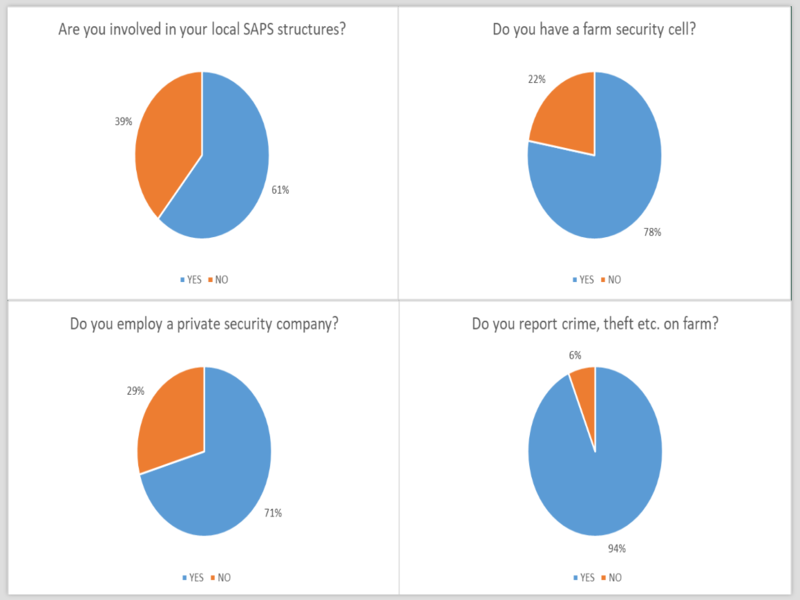 She said that the majority of farmers reported all crime and theft (no matter how petty) on their farms (94%), and that 71% of farmers surveyed employ the services of a private security company. Sandy also spoke to members about land transformation initiatives and current programmes such as the Future Farmers’ programme. She encouraged members to get involved and join with Kwanalu’s goal of producing top quality commercial farmers in order to secure the future of agriculture in SA. Through Kwanalu’s Development Programme, which aims to make a difference by facilitating access to training, markets and finance, she called on members to assist in “growing farmers” in their communities.